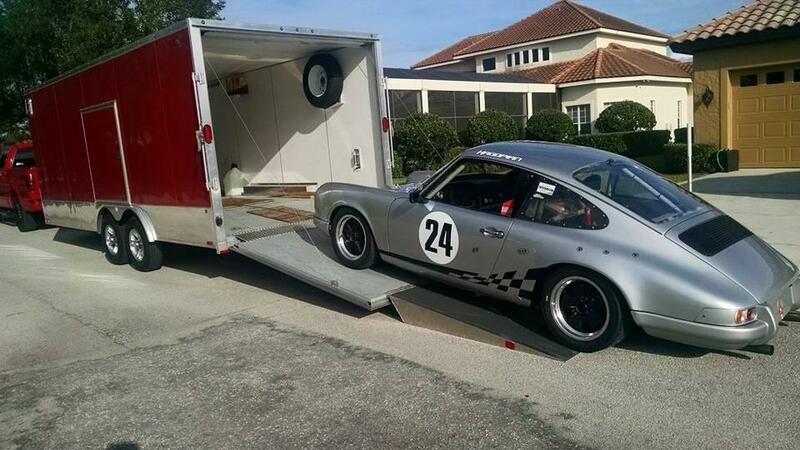 STOLEN Porsche 911 from trailer in Columbia, SC. Any information contact Richland County (SC) Sheriff's Department. Keep those trailers double locked and park with the back door against a solid wall or object. If there are two trailers, you can park them back to back. Thieve rings are always looking for race car trailers. They prefer to take the whole trailer. Cars are rarely recovered without being stripped of all mechanical parts. Thieves cut the back locks off mine to break in at the storage lot but it was too close to the fence to open the door. They couldn't get the side door open either. They'd jumped the fence to steal anything from anyone, neighbors construction trailer wasn't as fortunate as I was. Jack, sending you a pm.